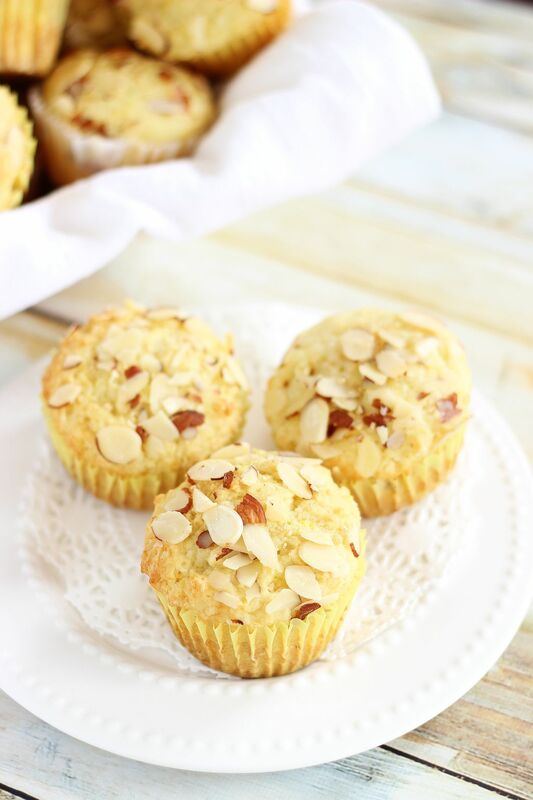 An ultra moist muffin with fresh lemon and almond flavors. Happppy Easter! I hope you’re all having a wonderful holiday, and enjoying time with friends and family. It wasn’t the most conventional of Easters for us – we ate at Anthony’s pizza with my BFF and in-laws, and then got ice cream. Not exactly traditional, but a really nice day! The sun just went down, the sunset was gorgeous, and now we’re getting some unexpected rain. And now my S.O. is watching The Ten Commandments, a movie I’ve never personally been able to get into, and I’m kinda shocked that he is as engrossed as he is. I mean, he is truly enraptured by it, and I’m stunned. I keep looking over to see if he’s fallen asleep, but he’s awake and captivated. Is it just me? I have never been able to sit through it. 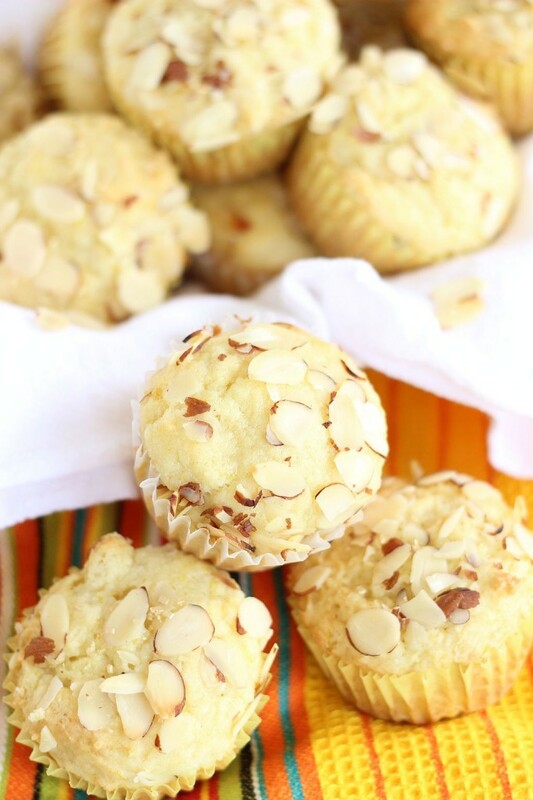 Anyhoo, I think these muffins would’ve been better to know about yesterday, and then you could’ve enjoyed them for Easter brunch or after dinner with some coffee, but you do not need to enjoy these strictly on a holiday anyway, that’s for sure. Eat them any and every day. They are one of the very best muffins I’ve ever had in my life. 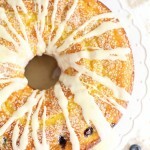 As moist as muffin can be, and wonderful fresh lemon flavor. Almonds for crunch, and a little almond extract to bolster the flavor. I have never known a more moist and fluffy muffin… ever. In a large mixing bowl, combine sugar, butter, and lemon zest. Beat until light and fluffy. Beat in the egg, lemon juice, and almond extract. Add the dry ingredients to the mixing bowl, and beat until just blended. Divide the batter evenly among the prepared muffin cups, filling almost to the top of the paper liner. 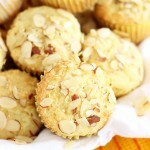 Sprinkle the almonds evenly over the muffins. Bake at 350 degrees until the muffins are light golden brown on top, about 20-25 minutes. Allow to cool. These muffins sound amazing, Sarah! I’m in awe that there is ricotta cheese in here. Sounds so delish! What a perfect flavor combination! Glad to know you have a wonderful Easter 🙂 These muffins? Mmm I can smell them through my screen, what amazing flavors!! They look amazing Sarah, pass me one for breakfast!! I would love to share them with you!!! They are very easy to make and they are the most moist muffin ever!! You’d love them. Thanks, Manali! These look great Sarah! Love the lemon, almond and ricotta combo! 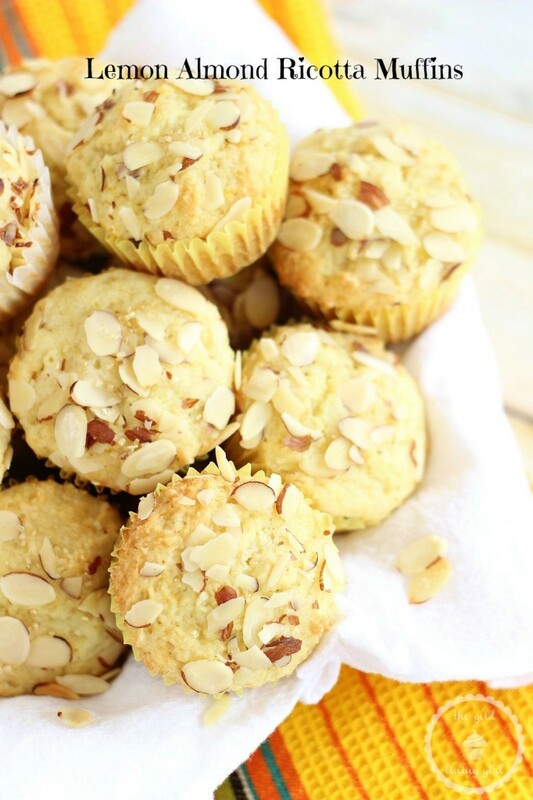 Yes, these look like perfect muffin HEAVEN! Pinned! Lol! That’s true!!! 🙂 Thanks, Blair! So glad you had a great Easter! 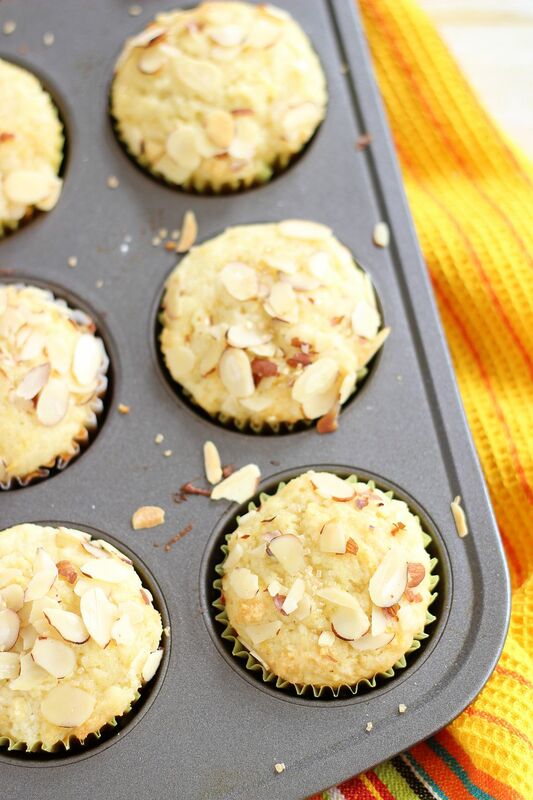 These fluffy muffins are perfect for spring! Love the lemon and ricotta combo! These muffin look so delicious and moist. I want some now. 😉 Pinned! Haha!! They were a cinch to make! You could have them in about 20 minutes. 😉 Thanks, Cyndi! Haha! Yay! So happy to have a fellow glitter and sequin and sparkly things friend here! Thanks so much, Mimi! These sound scrumptious! I’ve made ricotta cookies before and I love how moist it makes them- can’t believe I’ve never thought to put it in a muffin. Thanks for the idea! And I’m all about lemon in anything! Oh wow! 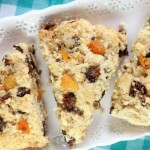 I’ve never thought to put ricotta in a cookie! What a great idea! Thanks so much, Stephanie! I love lemon! 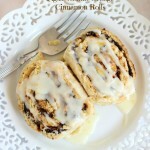 These look easy to make which I also love. I can’t wait to try them. Hope you love them, Candy! Love your recipe! Pinned & shared. Thanks for linking up and sharing at the Inspiration Spotlight Party! Could you replace the ricotta cheese with greek yoghurt ? Hi Louise! Unfortunately, I haven’t tried that, but I don’t think it would probably work. 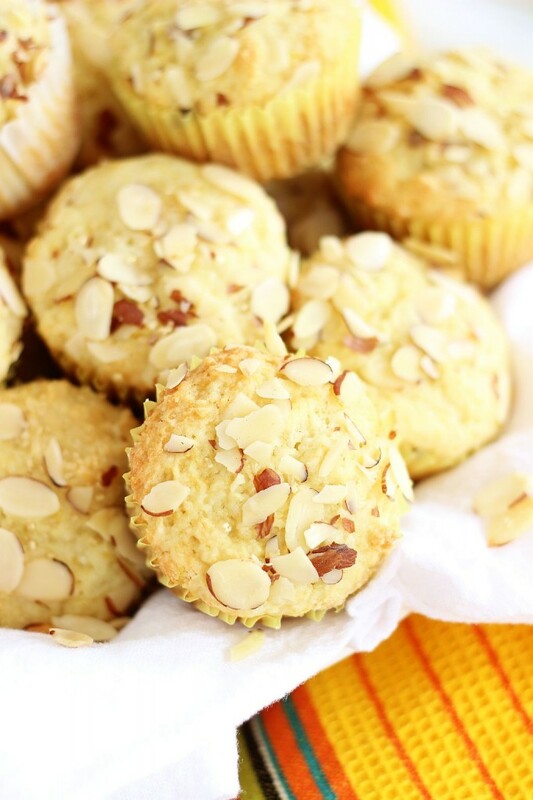 The ricotta is what really makes these muffins. It’s just a special ingredient that makes them moist and gives them some fluffiness! 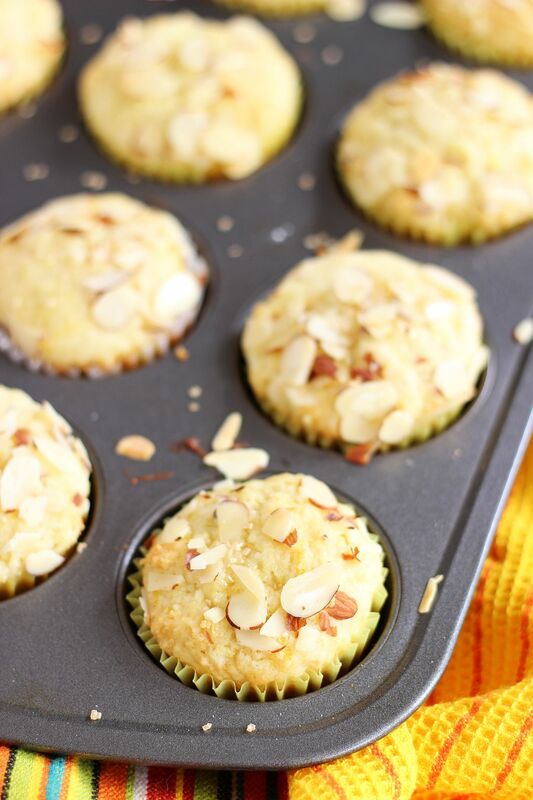 I think Greek yogurt substitutes well in other baked goods, but probably not these muffins. Let me know if you try them! Yes! Totally! 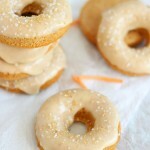 I’ve made them with orange and hazelnuts before! They are AMAZING muffins. Best the first 2-3 days. I hope you love them – let me know! 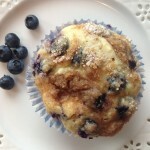 I’m getting so annoyed with bloggers posting the same photo from different angles of the same muffin. I had no idea what the muffin batter needed to look like…I followed the recipe exactly but the batter was very cakey in the end. If you would have just posted a step by step process, rather than 6 pictures of the finished product – I would have had a gauge of if I was doing it right. Thank you for your feedback. I’m sorry, but I posted this recipe a few years ago, and I certainly had no idea what I was doing. I still don’t. Trust me, many of us bloggers are still learning every day what helps our readers, and what our readers like to see. I will certainly take this feedback to heart. What I will say: I work full-time during the day, and I spend just about every spare minute on my blog to make it the best it can be. I do my best, and I really cannot tell you how much time, effort, money, learning, and energy it takes to run this blog. One thing about my schedule – to have the best lighting, I can’t always show EVERY recipe’s step-by-step. It just cannot be done or it can take an entire day, and I mostly shoot on weekends. Step-by-step photos are much more time-consuming. It’s hard to get step-by-step for EVERY recipe, so I try to do it with recipes where it’s really key. I’m sorry that the instructions weren’t helpful, but I do hope you enjoyed the muffins. Thank you again for your feedback, and I’ll try to incorporate that more and more. Thanks. Just pulled these out of the oven and they smell heavenly. I followed the directions exactly and they came out great. You can taste the lemon and almond without it being overpowering. I used a mini loaf pan that makes 8 loaves instead of a muffin pan and I am glad I did as 1 muffin may not be enough. This is going into my muffin rotation. May even have to make these as holiday gifts for the neighbors.